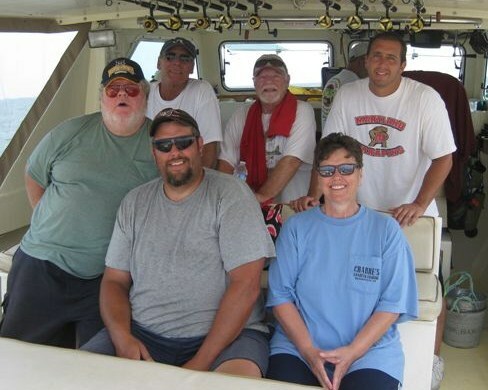 It was a Happy Father’s Day trip for George, his children, and son’s friend aboard KIT II. 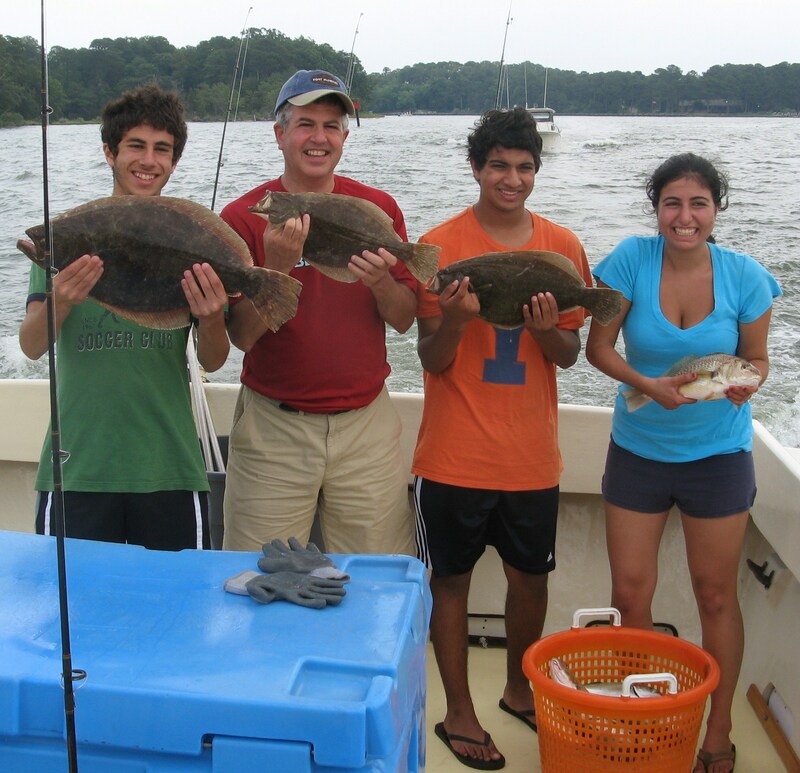 Flounder, bluefish, rockfish, and croaker! Well done…appreciate your business. Enjoyed have Don, Patti, and crew for 2 days of the Tournament. The heat was on…literally. 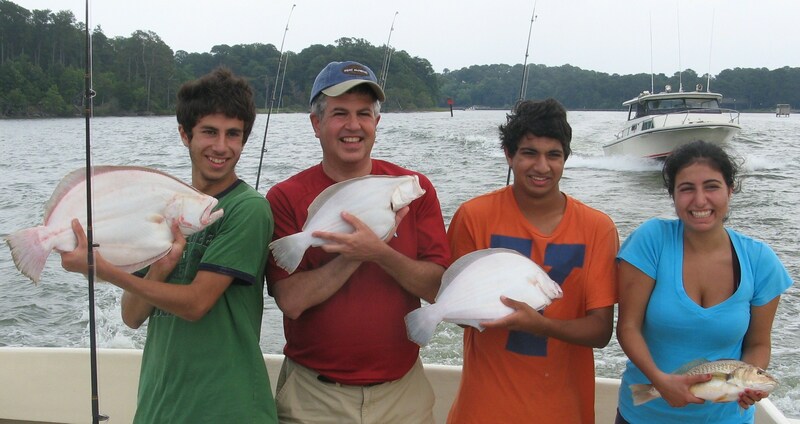 The first day we took some time to get on the fish but were able to get our limit of stripers. Pretty fish…one made it on the board. The next day, even though it got bumped off the standings, we proudly returned to the dock again with out limit of stripers and a pretty blue. Well done folks…appreciate your business! Glad to have Bruce and his group fish with us today. We had a nice catch of rock and blues. 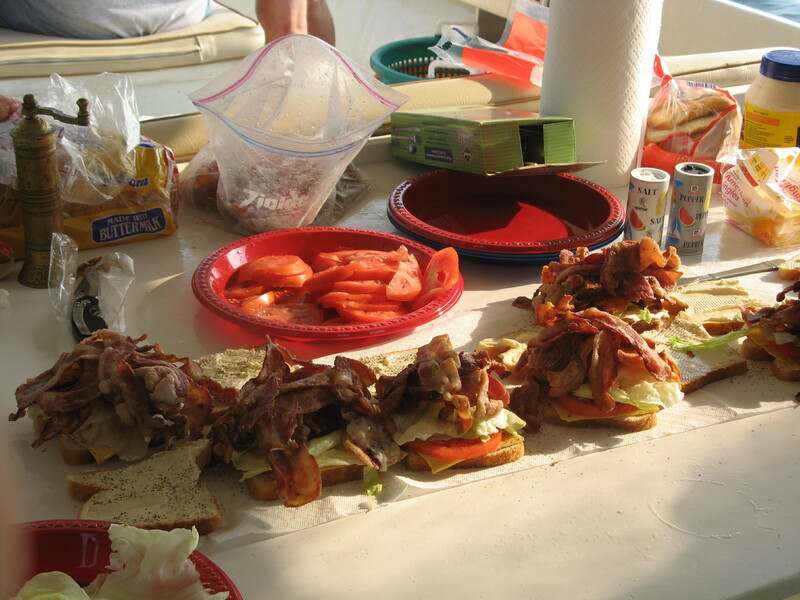 Just as memorable were the mountain high BLT’s. Really appreciate your business fellas!